Austin Thin Films dichroic coating on 4"x4" thin black glass. 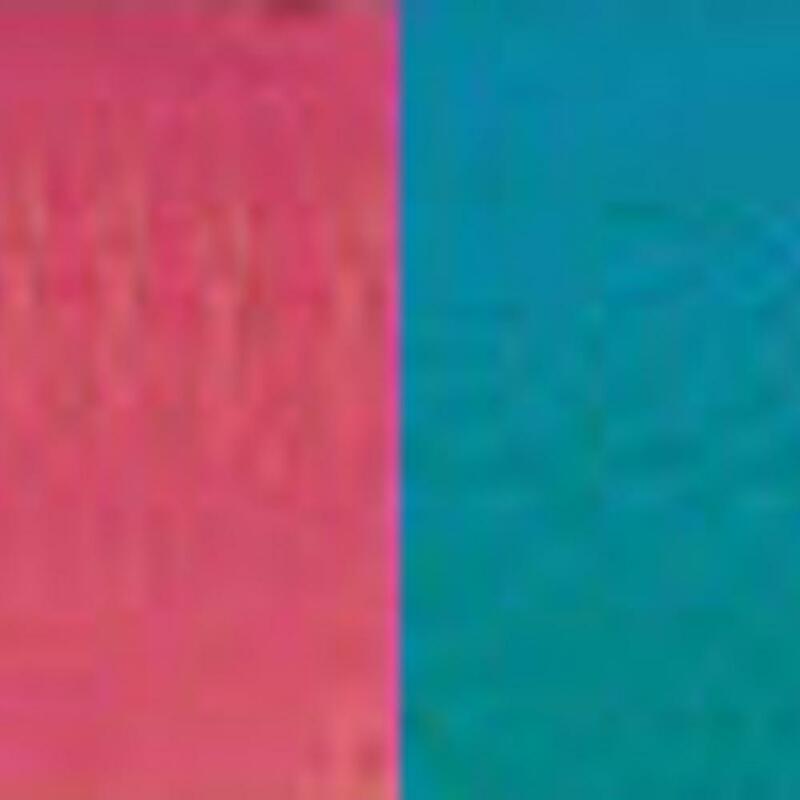 Magenta is transmitted through the glass and Teal color is reflected. Post-firing, the reflected color will shift to Light Blue to Turquoise. Please keep in mind individual firing results will vary. Pieces may have clamp marks as this is an unavoidable part of the dichroic coating process. DichroMagic is designed to not only withstand fusing and firing temperatures, but also work well with stained glass and architectural applications. It's dichroic coating is perfect for a variety of applications including stained glass, fused jewelry, tiles, lampworked beads, slumped bowls, blown paperweights and cast sculpture. DichroMagic dichroic is designed to remain highly stable at fusing and glassblowing temperatures while retaining the beautiful optical properties and colors. This endurance is due to the state of the art equipment. The DichroMagic coating is enhanced with a tough overcoat giving it high temperature resistance and scratch resistance. Due to its unique properties, DichroMagic is the professionals’ choice for dichroic glass art. The only limitation is your own imagination. Upon firing, DichroMagic produces a unique crazing pattern depending on the color, glass texture, glass thickness, coating color, and fusing technique. The dichroic coating will readily fuse to uncoated glass. Keep in mind that in general, two dichroic layers will not fuse directly to each other.